what is run to discover? 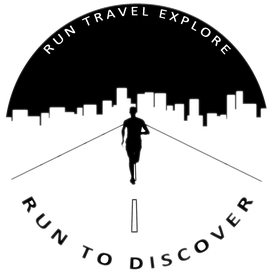 RUN TO DISCOVER - A Runner's Travel Guide is a platform from runners for runners! Local runners present their city to you. A runner's city guide basically! You are planning a weekend trip, vacation or just a quick business trip? Or you're just fed up with your standard routes and you want to discover your city more? With the city guides on RUN TO DISCOVER you will now what your destination offers for runners and where nice running routes are. We offer everything. Short and easy routes, which you can smoothly fit into a busy schedule. But also longer and tougher (trail) routes. Furthermore the city guides provide some insider tips. Get your city guide here and discover your next destination! Florens von der Decken, the founder of RUN TO DISCOVER, developed the idea of this new platform while writing a new post for his former personal blog in March 2016. He moved a lot due to his studies and so he decided to write some posts with the title "Run To Discover" about running in the various cities he lived in. Chatting to a friend about the new "city guides" the idea of a platform, on which other runners can present their cities, came up. Right after the chat the first steps to develop "RUN TO DISCOVER - The Runner's Travel Guide" had been taken. WHO IS BEHIND RUN TO DISCOVER? Behind RUN TO DISCOVER are many runners from all over the world! Without the contribution of all of you, this platform wouldn't be possible! Thank you! The platform is managed by Florens von der Decken the founder of RUN TO DISCOVER - a 29 year old sports enthusiast - who decided in 2012 to run his first single race: the Berlin-Marathon! Since then running is his big passion. So is traveling! Whenever he is on the go, his running shoes are with him to discover unknown places by running. Find out more about Florens and his running adventures on his instagram account.